You are going to Watch Naruto Shippuden Episode 315 English dubbed online free episodes with HQ / high quality. Stream Anime Naruto Shippuden Episode 315 Online English dub Lingering Snow. Discovering that there are four Yota in different battlefields, and recognising Yota’s whistling as the one he had taught him, Naruto informs the others that the Yota they’re fighting are in fact disguised White Zetsu, freeing them from the guilt of attacking Yota, resulting in the Zetsu being defeated. Remembering the past, Yota was being held by the ANBU for questioning, the ANBU sensing something wrong with Yota. 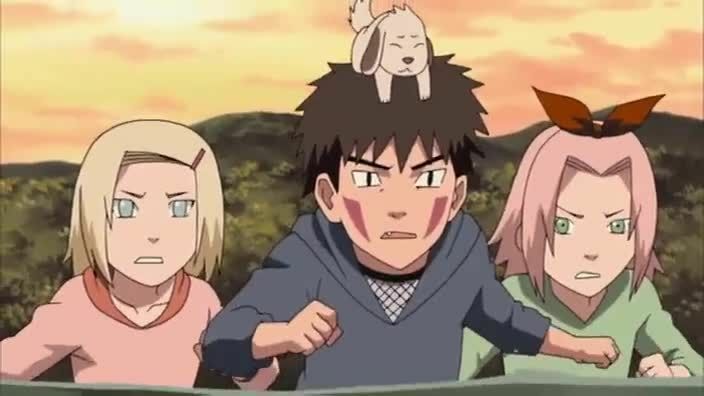 Naruto acts a decoy for Shikamaru, Kiba, Akamaru, Ino, Chōji and Sakura to sneak in. Shikamaru manages to temporarily paralyse the ANBU, but they soon get the upper hand. About to attack Naruto, Yota acts out and strikes the ANBU with his lightning. Naruto and the others try to get Yota across a river so he can get away, but they all get separated by the strong currents. Yota saves Naruto, but begins drowning. They try to talk to Yota, but he erases their memories of him and their time together. During the war, Yota reveals he was already dead when they first met, having been one of the earliest subjects of the Impure World Reincarnation when Orochimaru began testing it. Yota tells them about how his clan travelled selling weather, which they could control, and how despite being particularly good at it, Yota’s body was frail, leading to an early death. Yota covers himself in snow, causes lightning to strike him, leaving Naruto and the others shocked.